Getting a direct flight in business or first class to Australia from North America is one of the hardest redemptions available. 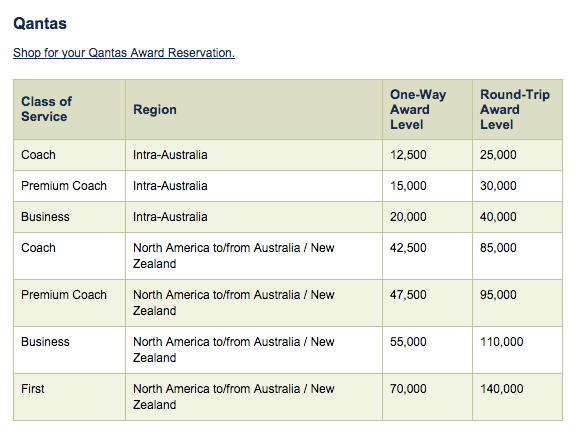 Qantas is releasing significant amounts of award space to/from Australia in First Class, on the Airbus A380. There are two routes where the award space is plentiful, from February 2016 through the end of the schedule. 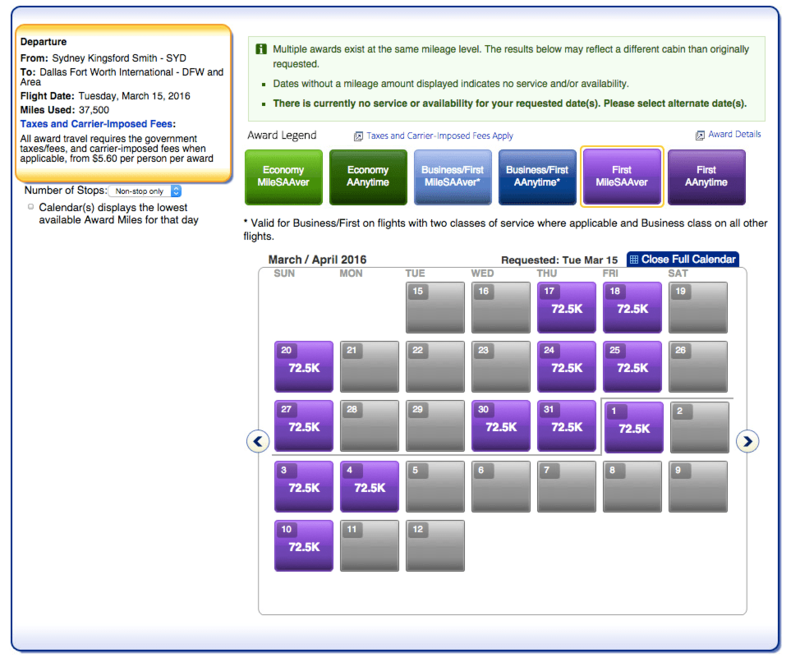 This is a snapshot of availability in March/April 2016 for SYD – DFW (the longest flight in the world), for one person. Usually, there are only one or two dates with First Class award space on these Qantas routes, and nearly always 330 days from departure. There are a few days per month with two seats, which is nearly unheard of. The two best ways for redeeming for these flights are with Alaska and American airline miles. Alaska charges 70,000 miles for First Class from North America to Australia and/or New Zealand, allowing stopovers even on a one-way award. I think this is a good redemption if you have enough Alaska Miles. You are only permitted to combine Alaska and Qantas award space. The best way to earn Alaska miles as a Canadian is with the MBNA Alaska Airlines Mastercard. 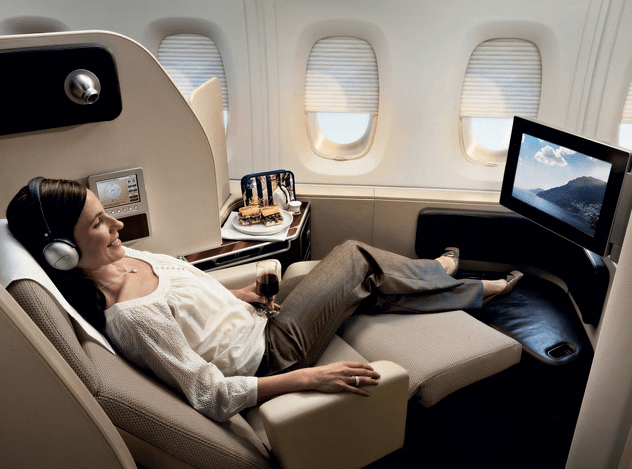 American charges 72,500 miles for First Class from North America to South Pacific, which includes Australia/New Zealand, but also islands in Oceania like Fiji and French Polynesia. You can combine any combination of carriers, as long as Qantas publishes a fare between origin and departure, so this is a better option if you’re on the East Coast. You can also hold seats for five days on American, which gives you some time to decide whether to ticket. Dont worry about crediting the original source then. Pricks! ummmm… I posted this on FT hours ago and it was on a lot of sites. You may or may not be the original source. Hey, thanks for the post! Booked an A380 F! Beware, the AA site shows availability when there are no seats. The EP desk says the website shows “Phantom” seats. But thanks for info. Only showing Y class in the AS site. I guess it’s only good if you have AA Miles!